திருவரமங்கை என்னும் வானமாமலை என்பது 108 வைணவத் திருத்தலங்களில் முக்கியமான ஒரு திவ்யதேசம். 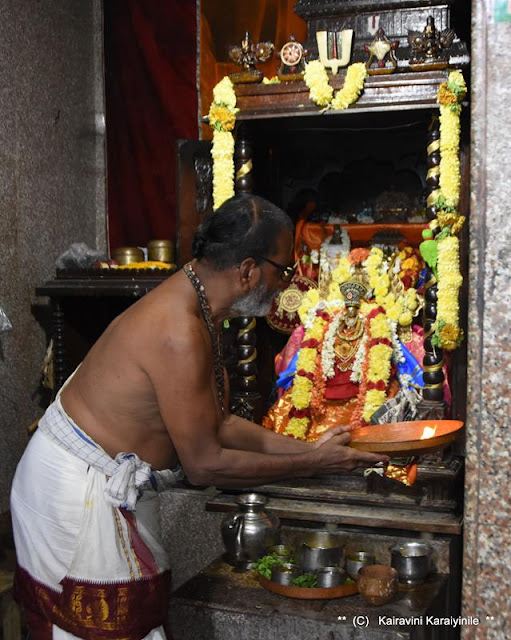 இத்தலம் திருநெல்வேலியிலிருந்து திருக்குறுங்குடி செல்லும் சாலையில் அமைந்துள்ளது. நாங்குநேரி, தோத்தாத்ரி, உரோமசேத்திரம், ஸ்ரீவரமங்கை (சீரிவரமங்கல நகர்), நாகணை சேரி என்றெல்லாம் அழைக்கப்படும் இத்தலம் திருநெல்வேலி மாவட்டத்தில் அமைந்துள்ளது. 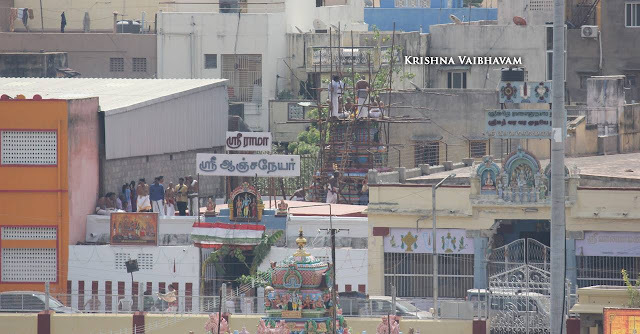 what you see above, next to Thiruvadi koil (Sri Anjaneyar temple) is Triplicane branch of Sri Vanamamalai Mutt, the supreme fountain head for Thennacharya sampradhayam following our glorious Acaryar Swami Manavala Mamunigal. The mutt in fact was eatablished by PonnadikkAl jIyar under the orders of maNavALa mAmunigaL. PonnadikkAl jIyar was the first and foremost disciple. 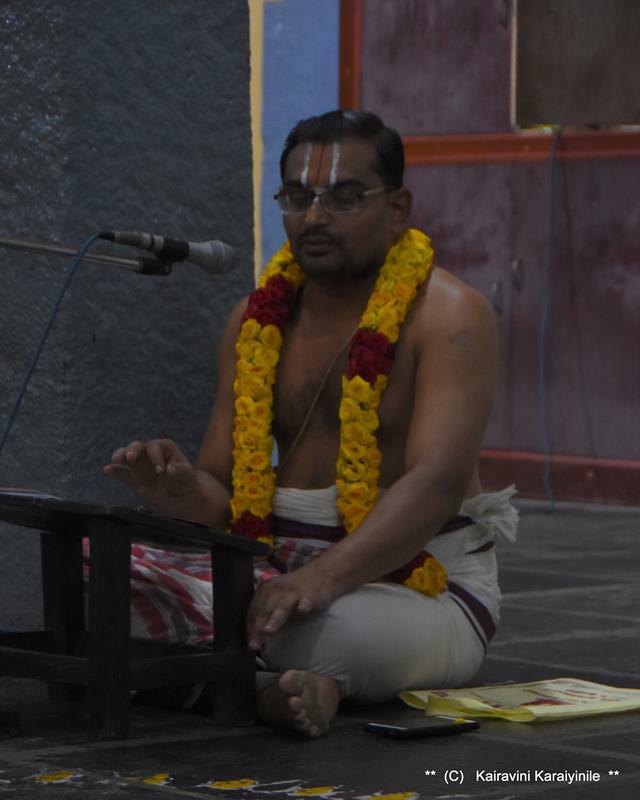 Srivainava sanyasis are Ubhaya Vedanthacharyas and paramahamsa parivrajaka Acaryas. Ubhaya vEdhAnthAchArya means one who has mastered both samskritha vEdham and dhrAvida vEdham with their in-depth meanings. Paramahamsa means one who is like a swan which is pure and the one which can distinguish between sAram (essence) and asAram (residue/insignficant). Parivrajaka means one who is a mendicant - travelling preacher. 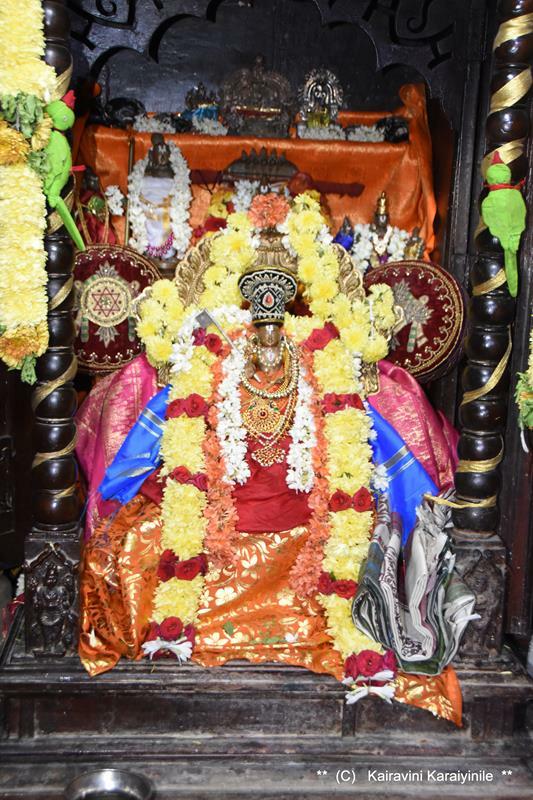 Our Vanamamalai mutt is also known as thOthAdhri mutt in uththara bhAratham (North India). In addition to the branches here in dhakshiNa bhAratham, there are many thOthAdhri mutts in uththara bhAratham (including nEpAL). 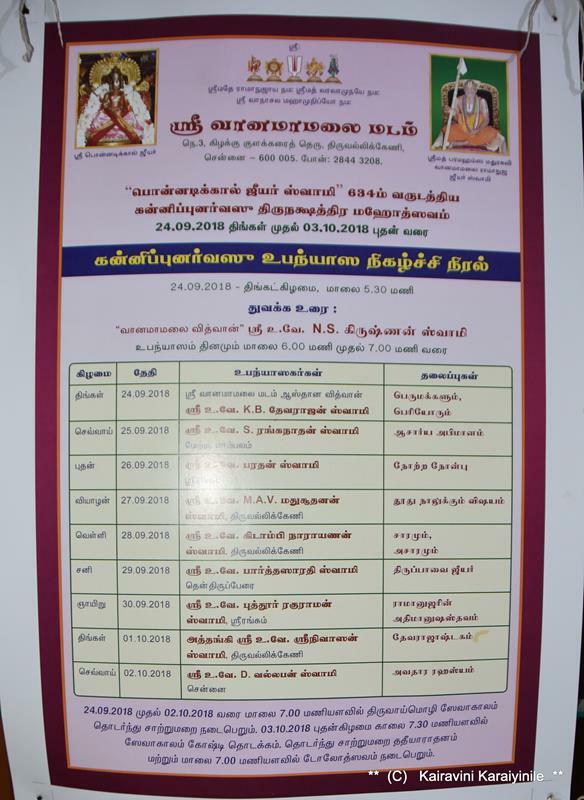 Today heard upanyasam on ‘Sri Ramanuja Athimanusha Sthavam’ written by Thirumazhisai Annappavangar swami – lectured by Sri Puthur R Raguraman swami (Balaji) – editor of sampradhaya magazine ‘Sri Sailesathayapathram’. This was organized as part of 634th year celebrations of Sri Ponnadikkal Jeeyar at Triplicane branch of Vanamamalai Mutt. Sri Vanamamalai Periya Ramanuja Jeer Swami alias Ponnadikkal Jeer established this mutt. Swami wrote viyakiyanam for Thiruppavai; composed thaniyan on Andal, composed 17 songs in praise of Manavala Maamunigal. Born in 1447 as Azhagiya Varadhar, he became to be famously known as ponnadikkAl jIyar. He is also known as vAnamAmalai jIyar, vAnAdhri yOgI, rAmAnuja jIyar, rAmAnuja muni, etc. He was the first and the prime disciple of azhagiya maNavALa mAmunigaL. 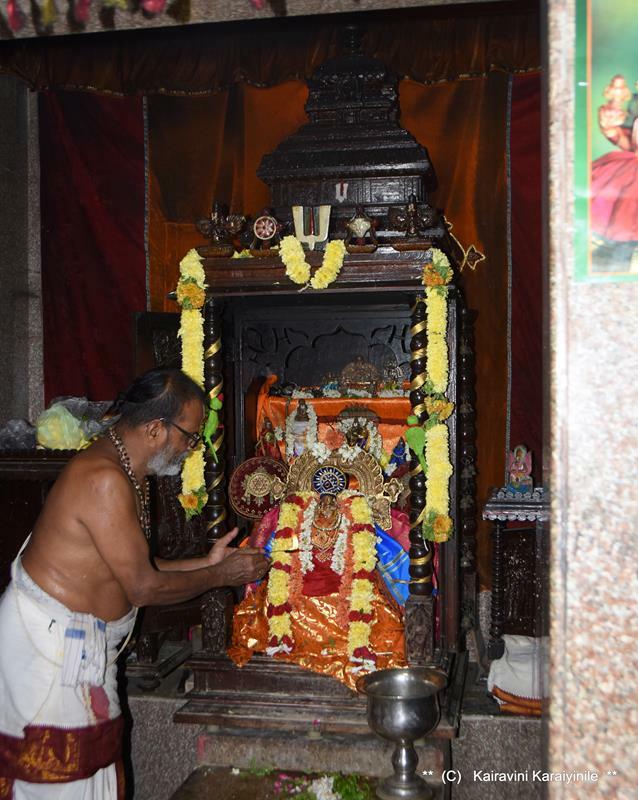 Azhagiya varadhar became the first disciple of azhagiya maNavALa mAumingaL when mAmunigaL was a gruhasthar. azhagiya varadhar immediately accepted sannyAsAshramam and stayed with mAmunigaL most of his life. ponnadikkAl means the one who laid the foundation of mAmunigaL’s sishya sampath. He established many thOthAdhri mutts all over the bhAratha dhEsam and propagated our sampradhAyam in many regions. When mAmunigaL goes for thiumalai yAthrai for the first time, periya kELvi appan jIyar sees a dream, where a gruhasthar is lying down and a sannyAsi is at his lotus feet. jIyar asks the people who are there about these two personalities and they say one is “eettu perukkar” azhagiya maNavALa perumAL nAyanAr and the other is ponnadikkAl jIyar as called by nAyanAr himself. The celebrations are now on with Thiruvaimozhi goshti and kalakshepam by many athikaris .. .. here are some photos taken today. So far, there have been d 31 jIyar swamys decorating this most glorious peetam, after Sri PonnadikkAl jIyar. 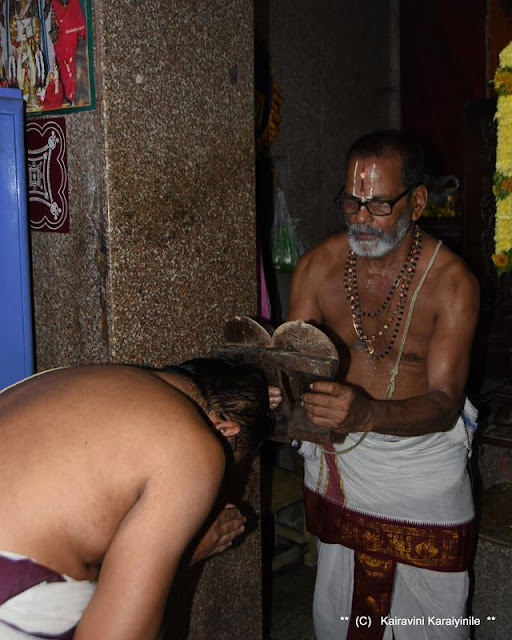 Our 30th and periya jIyar swamy was SrImath paramahamsa ithyAdhi kaliyan vAnamAmalai rAmAnuja jIyar swamy who was a renowned scholar in our sath sampradhAyam. 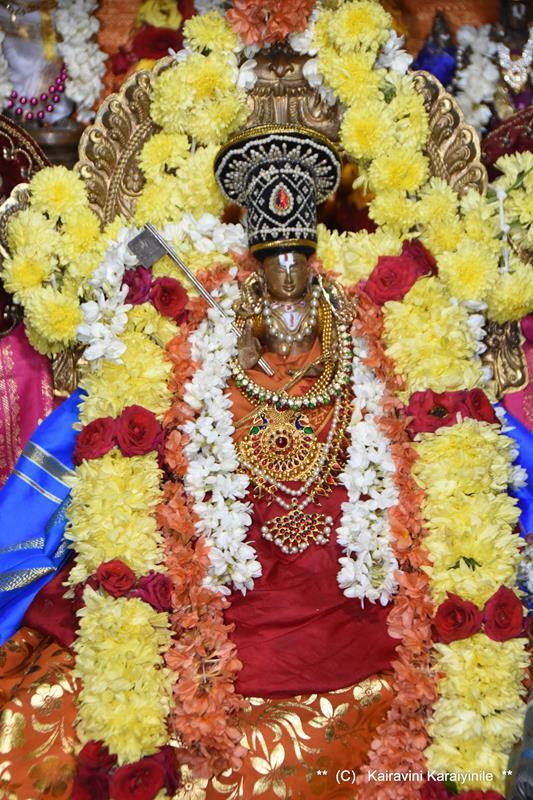 He recently attained the lotus feet of his AchAryan (ascended to paramapadham) on April 30th 2014. 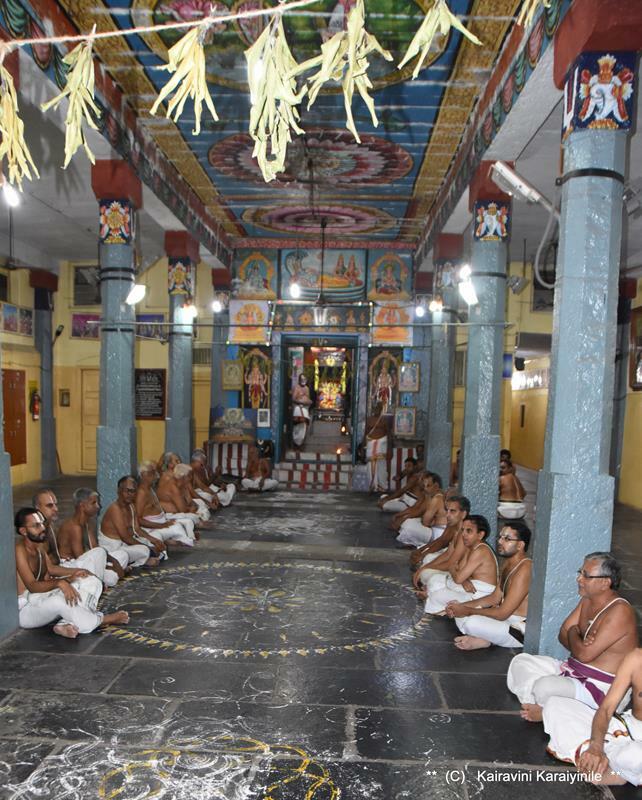 On the same day, srImath paramahamsa ithyAdhi madhurakavi vAnamAmalai rAmAnuja jIyar swamy (srI u. vE. nArAyaNa iyengAr in pUrvAsramam) was appointed by kaliyan swamy as his successor (before ascending to paramapadham) and ascended to the throne of srI vAnamAmalai mutt as 31st and varthamAna (current) jIyar swamy.